Ian Ramsay is the Harold Ford Professor of Commercial Law and Redmond Barry Distinguished Professor. He is also Director of the Law School's Centre for Corporate Law. Ian practised law in New York and Sydney and is a member of the Corporations Law Committee of the Law Council of Australia. Former positions he has held include Head of the Federal Government inquiry on auditor independence, chair of the independent panel to review the financial system’s external dispute resolution and complaints framework, member of the Takeovers Panel, member of the Australian Securities and Investments Commission's External Advisory Panel, member of the Australian Securities and Investment Commission Enforcement Review Taskforce, member of the Australian Government's Corporations and Markets Advisory Committee, member of the Audit Quality Review Board, member of the Australian Government's Auditors and Liquidators Disciplinary Board, member of the Law Committee of the Australian Institute of Company Directors and member of the International Federation of Accountants taskforce on rebuilding confidence in financial reporting. Ian has published extensively on corporate law, corporate governance and financial regulation issues both internationally and in Australia. 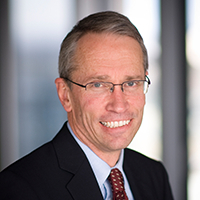 His books include: Ford, Austin and Ramsay's Principles of Corporations Law - which is Australia's leading corporate law book (co-author, 17th edition, 2018); Commercial Applications of Company Law (co-author, 19th edition, 2018); Incentivising Employees: The Theory, Policy and Practice of Employee Share Ownership Plans in Australia (co-author 2013); Law, Corporate Governance and Partnerships at Work: A Study of Australian Regulatory Style and Business Practice (co-author 2011); Commercial Applications of Company Law in New Zealand (co-author, 5th edition, 2015); Commercial Applications of Company Law in Singapore (co-author, 5th edition, 2015); The Takeovers Panel and Takeovers Regulation in Australia (editor, 2010); Varieties of Capitalism, Corporate Governance and Employees (co-editor, 2008); Commercial Applications of Company Law in Malaysia (co-author, 3rd edition, 2008); Company Directors: Principles of Law and Corporate Governance (co-author, 2005); Experts' Report in Corporate Transactions(co-author, 2003); Key Developments in Corporate Law and Trusts Law: Essays in Honour of Professor Harold Ford (editor, 2002); Company Directors' Liability for Insolvent Trading (editor, 2000); Securities Regulation in Australia and New Zealand (co-editor, 1998); The Corporate Law Economic Reform Program Act Explained (co-author, 2000); The New Corporations Law (co-author, 1998); Corporate Governance and the Duties of Company Directors (editor, 1997); and Education and the Law (co-author, 1996). In addition, he has published more than 250 research reports, book chapters and journal articles. Ian's publications have been cited by the High Court of Australia, the Federal Court of Australia, the Courts of Appeal of the Supreme Courts of New South Wales, Victoria, Queensland and Western Australia, as well as by the Full Court of the Supreme Court of South Australia. His publications have also been cited by courts outside Australia including by the Supreme Court of the United Kingdom, the United States Bankruptcy Court, the Court of Appeal of New Zealand, the High Court of New Zealand, the Court of Appeal of the High Court of Hong Kong, the Court of Appeal of the Supreme Court of Singapore, the High Court of the Supreme Court of Singapore, the High Court of Malaysia and the Scottish Court of Session (the supreme civil court in Scotland). Ian is well known for his policy related research which has been undertaken for the Australian Government, the Australian Securities and Investments Commission, the Australian Communications and Media Authority, the Australian Law Reform Commission and other organisations. This research has resulted in important regulatory changes. Ian is also well known for his empirical research. These projects have included a survey of company directors regarding how they interpret their legal duties; surveys and interviews of senior high school students to ascertain their levels of financial literacy; a survey of listed companies regarding details of their employee share ownership plans; a survey of employees of two major companies regarding why the employees do or do not invest in employee share ownership plans; interviews with institutional investors regarding their interest and involvement in the human resource management practices of companies in which they invest; a survey of young adults regarding their knowledge, behaviour and attitudes about superannuation; a survey of investors regarding their use of prospectuses; a survey of those who have been bankrupt; interviews with financial counsellors who assist debtors in the bankruptcy list of the Federal Circuit Court; a survey of those suffering financial hardship and a survey of financial counsellors who advise those suffering financial hardship; and interviews with enforcement staff of the Australian Securities and Investments Commission regarding their use of civil penalties for contraventions of the Corporations legislation. Ian is one of Australia's most successful academic lawyers in terms of competitive research grants..
Ian is a respected commentator in the media on corporate governance, corporate law and financial regulation. He is regularly interviewed in the financial press and has been interviewed for international newspapers including the New York Times. His research has been reported in international newspapers including the Financial Times and the Wall Street Journal. Ian has been interviewed on major TV programs such as the 7.30 Report and Lateline, as well as radio programs including the Law Report and various current affairs programs. Many of Ian's publications are available on the Social Science Research Network (SSRN).